Happiness Research – Did you know there is a mathematical equation that can predict happiness? Let me explain. The University College, London, did a happiness research study in 2014 and created an equation to predict happiness. They used an app called “the Great Brain Experiment,” gave it to over 18,000 people worldwide to make predictions about happiness, and then they came up with an equation. This equation ended up being very good at predicting how happy people said they were from moment to moment based on recent events. One thing that they found was that wealth accumulation during the experiment did not have any predictive power for happiness. That, of course, wasn’t a surprise. But the second part, I think, also isn’t a surprise, but it’s a very good support about expectations. What these researchers found was, moment to moment happiness isn’t just about how well things are going but whether things are going better than expected. In other words, expectations are very important in our level of current happiness. In many ways, this study is in support of the adage that says, “If we lower our expectations, we’re more likely to be happy.” This happiness research study was published in the proceedings of the National Academy of Sciences. Let me start with a simple example of life and how we’re greatly affected by our expectations. I just got back from a vacation with my some of my extended family who lives in Arizona. One day, we decided to visit a new aquarium that had been recently built. It was a beautiful aquarium and we were having a very nice day, and just when we were ready to leave, all of sudden, we couldn’t. They wouldn’t let anyone leave the building because two children had been lost and they basically shut everything down until they found those two kids. I just enjoyed watching people while I waited and even got to sit for a while and meditate because it was a long way before they finally let us out. I wasn’t really remotely bothered by it, I was just enjoying the people, enjoying being in there, talking to my family, and just hanging out. Part some of my relatives were separated from me because there were a lot of people who were all cramped in this corridor. When we left the building, I discovered that one of my relatives had a really difficult time with being stuck in the building. What I learned was, he had very strong expectations that it wasn’t right that we weren’t allowed to leave and they should have done something else besides keeping us stuck there. He was so upset that he had to leave our company and go home. Now, what was the difference between his experience and mine? Mind you, there were a lot of ways I could have had high expectations. I have been to many aquariums around the world, one of which is called the Monterrey Bay Aquarium. It’s probably the best aquarium in the world and if I had gone with the expectation that this aquarium called OdySea was going to be the same, I would have been less happier about the experience. But I didn’t have those expectations. I liked the fish, I liked the aquariums, and there were a couple exhibits that were just breathtaking and I truly loved them. But, if I had compared, if I had had expectations at that moment, I would have been upset. Later, when we were about ready to leave, if I had had expectations that we needed to get out when we needed to get, I would have been disappointed. But instead, I didn’t have those expectations, so I had a nice time.I adjusted to the delay, and I even found a little corner to sit meditating for a while. So, expectations matter. With my relative, he had very different expectations that were much higher than mine and so he suffered. And that’s why expectations are so important in our level of happiness. If we have expectation to accept and love what is right now, in our moment to moment existence, what are we going to find? We’re going to find happiness because our expectations are basically non-existent. We’re just flowing with life and whatever life gives us, we flow. And if we flow, then we’re happy. Mind you, I know this is hard to do, but with time, we can get really good at it. Now, let’s take a bigger example of something a lot more serious that can happen to us and how our expectations can or cannot cause suffering. At the time of this writing, there had recently been a terrorist attack in Istanbul, Turkey. It was at a nightclub on New Year’s Eve, and many young people were killed. It was incredibly tragic, sad, and will greatly affect people. I found this article on the news about a young girl named Lian. She had only recently just celebrated her eighteenth birthday and had begged her father to go to the party in Istanbul. He was incredibly reluctant and didn’t want her to go, so she got her aunt involved and her aunt was able to convince her father to let her go. Unfortunately and tragically, she was one of the tragic victims of this nightmare. Now first, of course, when this happens, we have to grieve, we have to let our hearts heal and it can take a long time, particularly when it’s our child or our niece. Though it can take a very long time but, our expectations would determine how long it would be, whether it would be a year, two or the rest of our lives. Let me explain. Though it’s sad when our grandparents die, we all expect that to happen because they’re older than we are and we don’t expect to outlive them. So when they die, particularly when they die older than we expected them to live, we will probably grieve, but not for the rest of our lives. Unfortunately, when it comes to our children, we have different expectations for the most part. We suffer so much when our children die or something happens to them. Even if they just come home late one night, we go into that parental panic mode if we have expectations that everything has to be perfect for our kids. I mean, I know this is an extreme case, but, a lot of things can happen to people that we love — lots of things. So, if we were Lian’s father, what might we do? Of course, we would be sad — very sad — over the loss of our daughter, but part of living in life is that we can lose our children and we can’t let the loss of our child define us for the rest of our lives. He could create stories and say, “If only I hadn’t let her go. If only I kept her at home. If only I put my foot down, then she would be alive,” but those “If only” will cause him suffering. This is what happens: she is not here with us anymore and he and we need to realize that our expectations can cause us great suffering in this life. So, of course, we grieve but we don’t create stories, we just let the tears flow, and then we live life in the moment. We’re glad for our lives, we’re glad for each moment, and things don’t always go the way we expect. But having expectations that our kids are going to outlive us creates the potential for great suffering. We would do everything in our powers to make sure that won’t happen, but we can’t control what the world does. We can go through a grieving process, but we can still have beautiful lives. Now, let’s take the harder one. Let’s take Lian’s aunt. She had convinced her father to let his daughter go the Istanbul New Year’s eve party and then she died. Now, what many people, perhaps most people, will do is blame themselves — “Why did I do that? Why did I convince my brother to let Lian go? Why? I killed her. It’s my fault.” Of course, we can sit back and say that’s silly, but if Lian’s aunt has the expectations that she should know ahead of time what’s going to happen, she would have known there was going to be a terrorist that would come and shoot kids down on New Year’s Eve, then that expectation will cause her tremendous suffering. If she has expectations that when she does things she has to be perfect and know what’s going to happen in the world, then those expectations will cause her to suffer. When we lower our expectations, and when we just live life in the present moment, then life goes better. Instead of expectations, preferences are so much better: “I’ll prefer for things to happen this way.” When our preferences change, then we just adjust. For example, I preferred not to get stuck for over an hour in the aquarium, but I adjusted, because my preference allowed me to adapt and meditate. I wanted to get out but I couldn’t, so I adjusted. I’m very sure Lian’s father and her aunt did not expect her to die, but if we realize that anyone in our lives can be taken away, and though we would have preferred that not to happen, when that does happen — and it can happen to all of us. Very few people get through life without losing someone. Perhaps we lose someone through a divorce, through a breakup, or through death. We weren’t preferring to have that happen. But if we prefer instead of expect, then life goes a whole lot better. Life doesn’t follow the course we expect. Life doesn’t follow the course we prefer, but when we prefer and we keep those expectations really low, then life goes a lot better and we truly can have beautiful lives moment by moment. 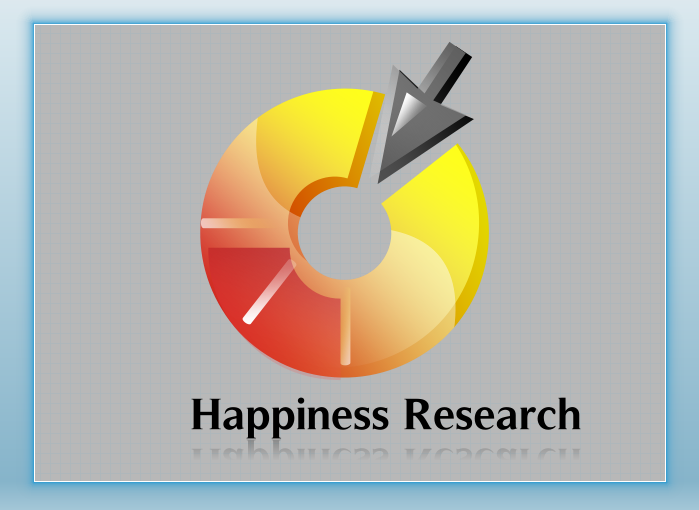 And this happiness research study, done with thousands of people, supports it. So, let’s lower our expectations, let’s have preferences, and let’s have beautiful lives. And when life changes, we adjust well to those changes.